Brad and Emily Thomas estimate they have 30 or 40 brothers and sisters. They have one adopted brother, Tyrese, who legally joined the family about six months ago, and the rest have come through their house by way of foster care. Their parents started fostering about a month before Emily was born. She’s now 22 and Brad’s 20. “Growing up with foster kids was like getting to see our cousins,” Emily said, noting their extended family was small and lived far away. The Thomases’ experience is different from those who grew up with only their nuclear families. It was also far different from their foster siblings. The Thomas family specializes in trauma care. These are kids who have experienced severe physical abuse, sexual abuse and even some who have been sexual abusers, Emily says. Some have serious emotional disorders. As Emily describes some of the more serious situations the family has faced, her voice is full of compassion for what her brothers and sisters have been through. One boy was even removed from their home for threatening Brad. Brad remembers it as “not that bad,” and still wishes DCS hadn’t removed him. “Something like that could happen, but think about it: Out of the 20 or so years we had foster kids, one thing happened,” he said. 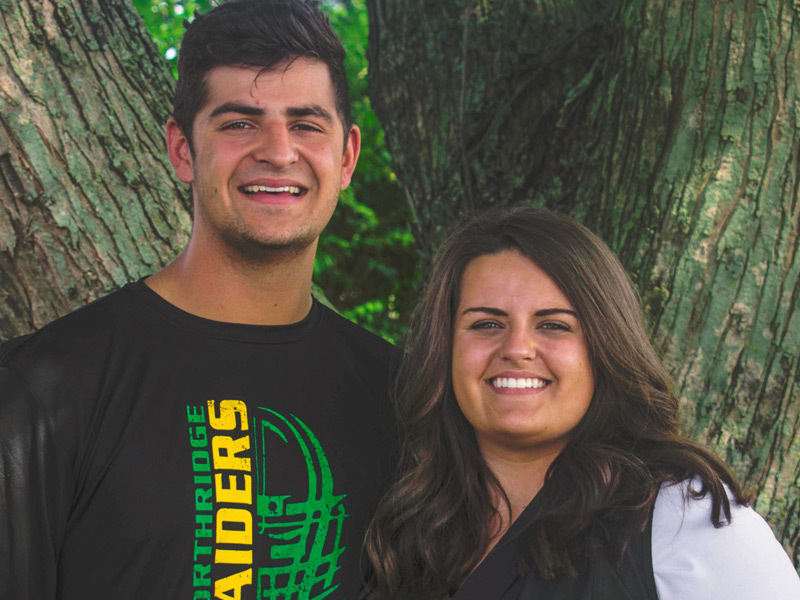 Their experience as a foster family has made a deep and lasting impact on the Thomas siblings. Brad says he’s nicer than he would have been without them – when you live with kids who have been through trauma, you learn not to yell or become angry over little things. It’s shaped her life in innumerable other ways, she says. It’s the reason she and her brother Brad are such close friends – they were two constants in a home that frequently changed. It’s made her want to become a foster parent. She’s quick to point out that you only have to be 25 and you don’t have to be married. Fostering also led to adopting their younger brother. He was a perfect fit right from the start, Brad said.